The round-headed, blue and gray Florida Scrub-Jay is the only bird species that lives exclusively in Florida, where it occurs in patches of low-growing scrub oak in sandy soils. It perches tall with its long tail hanging down or boldly hops on the ground burying acorns. This social bird forms extended family groups: the young from previous years help their parents at subsequent nests until they can get a territory of their own. Extensive development and habitat fragmentation in Florida threaten this bird’s already small population, placing it on the federal endangered species list. Despite the Florida Scrub-Jay’s tenuous environmental position, they’re still easy to find if you get to the right spot. 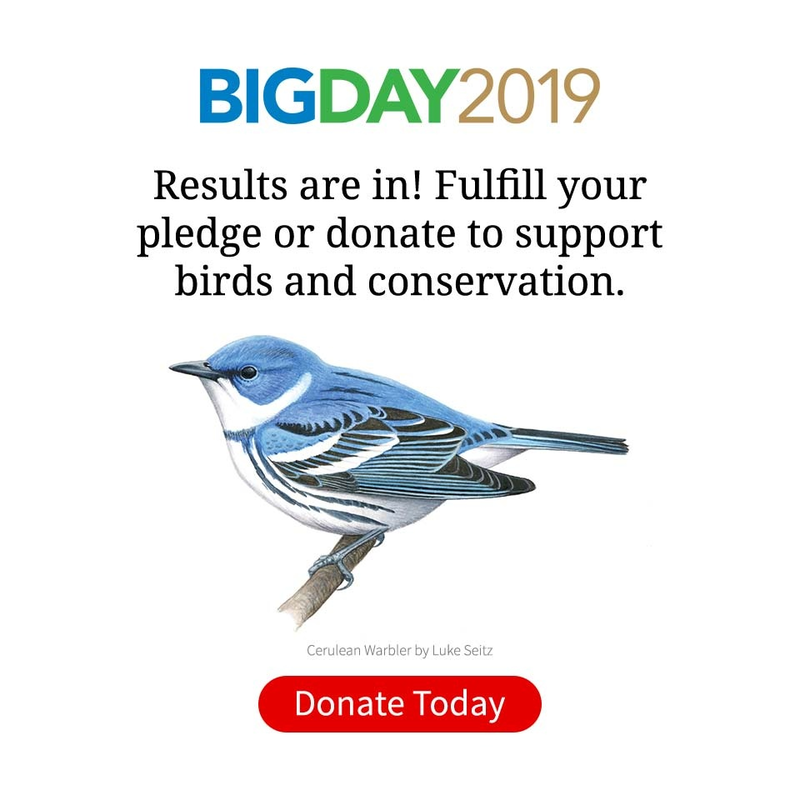 Visit a Florida reserve such as Archbold Biological Station or Merritt Island National Wildlife Refuge, and keep your eyes out for a medium-sized, long-tailed, blue songbird that perches high atop shrubs or pine snags, or hops along the road edge in search of crickets. The Florida Scrub-Jay is a cooperative breeder. When the offspring leave the nest, instead of going off to raise young on their own they stay with their parents and help them raise next year's brood. Individual members of a Florida Scrub-Jay family take turns watching for hawks while the rest of the family looks for food. If a dangerous hawk is seen, the sentinel gives an alarm call and everyone dives for cover. A different call alerts the family to ground-level dangers such as snakes. The entire family will join in mobbing a predator. Florida Scrub-Jays are homebodies; they don't migrate, rarely move more than a few miles from where they hatched, and they don't like to move across areas that aren't scrub oak. Increased fragmentation of their habitat means that Florida Scrub-Jay populations are now very isolated. Jays from the Atlantic Coast, central Florida, and southwestern Florida have different vocalizations despite being separated by less than 100 miles. One longtime Florida Scrub-Jay researcher is Dr. John Fitzpatrick, who has also served as the director of the Cornell Lab of Ornithology since 1993. Fitzpatrick has studied the jays since 1972, and he still visits central Florida every year to study the jays. The oldest recorded Florida Scrub-Jay was at least 15 years old when it was recaptured and rereleased during banding operations in Florida in 1990.